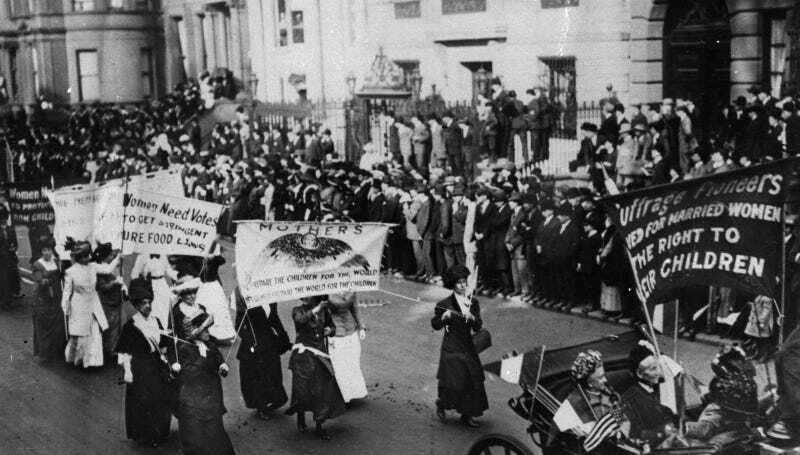 Suffragettes march to the White House in 1917 to demand voting rights. Image via AP Photo. The group behind the Women’s March on Washington has announced a nationwide event to follow the historically successful march. The kind of feminism we seek is already emerging internationally, in struggles across the globe: from the women’s strike in Poland against the abortion ban to the women’s strikes and marches in Latin America against male violence; from the vast women’s demonstration of last November in Italy to the protests and the women’s strike in defense of reproductive rights in South Korea and Ireland. What is striking about these mobilizations is that several of them combined struggles against male violence with opposition to the casualization of labor and wage inequality, while also opposing homophobia, transphobia and xenophobic immigration policies. Together, they herald a new international feminist movement with an expanded agenda: at once anti-racist, anti-imperialist, anti-heterosexist and anti-neoliberal. A Women’s March representative did not immediately return a request for additional information. A number of strikes have taken place across the U.S. since Trump’s election. On Thursday, as many as 1,000 Yemeni-owned bodegas and other businesses closed in New York City to protest Trump’s Muslim ban, while the New York Taxi Workers Alliance went on strike for an hour in support of the Muslim ban protest at JFK (Uber did not follow suit, and subsequently lost 200,000 customers to #DeleteUber). Women and Allies Against Trump initiated a strike across 18 cities on Dec. 12, and around 7,000 people participated in the Women Strike on inauguration weekend.